One Man’s Dream Show at Videopolis at Disneyland from December 16, 1989, to April 29, 1990. Originally produced at Tokyo Disneyland where it ran from April 15, 1988, to September 3, 1995. Tells Walt Disney’s story through his animated triumphs. One unique element of the show was that the beginning was all in black and white; the characters and sets then almost magically changed to full color. 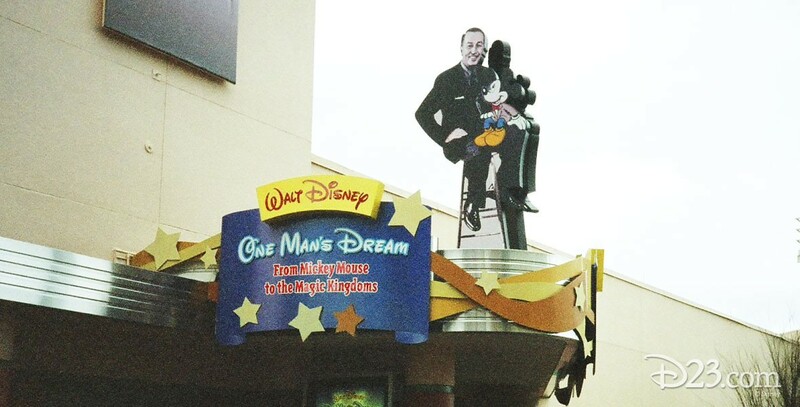 The show returned to Tokyo Disneyland on July 3, 2004, as One Man’s Dream II—The Magic Lives On.